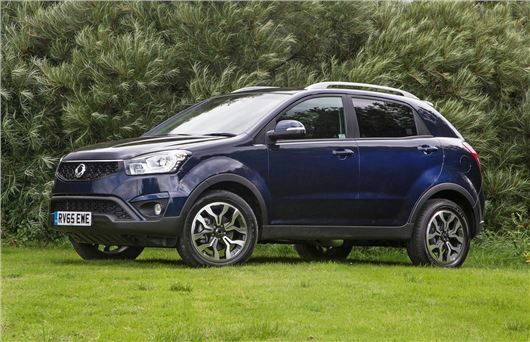 SsangYong has updated its Korando with a new 2.2-litre diesel engine developing more power but with improved fuel economy. The new model is on sale now with prices starting at just £15,995 making the Korando impressive value. Available with either two or four-wheel drive, the updated Korando is available with a new six-speed automatic gearbox alongside the standard six-speed manual. As before, the Korando also comes with the comprehensive SsangYong five year unlimited mileage warranty. The new e-XDi220 diesel gets a power increase to 178PS while more crucially, torque has been boosted to 400Nm. Despite these increases, claimed economy has actually improved with a claimed 53.3mpg for the two-wheel drive manual model. Official CO2 is also down, now at 139g/km. There are a few styling tweaks with the Korando now sporting clear glass indicator lenses and a new piano black grille. There are also new look 16-inch and 17-inch alloys along with 18-inch diamond cut alloy wheels for the top of the range ELX model. All models get an upgraded infotainment system while the entry-level SE now has Bluetooth and iPhone connectivity. The EX gets a 7-inch touchscreen and a rear view camera while the top ELX gets an integrated TomTom navigation system.